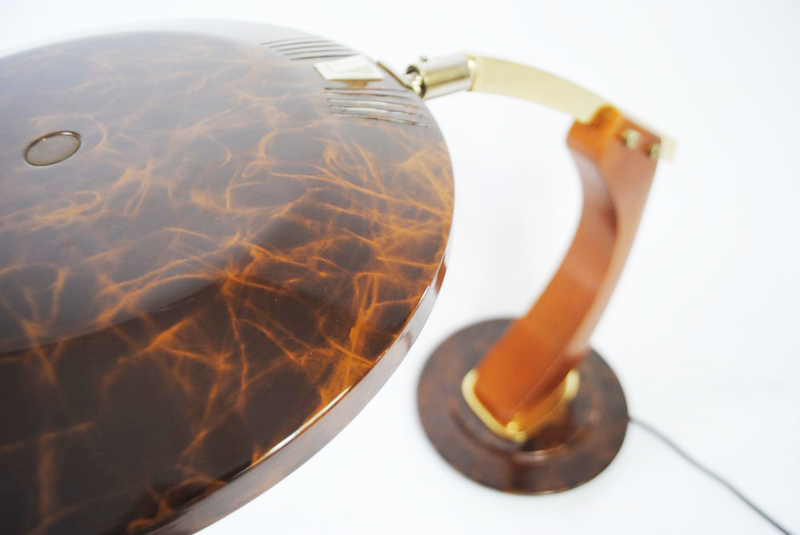 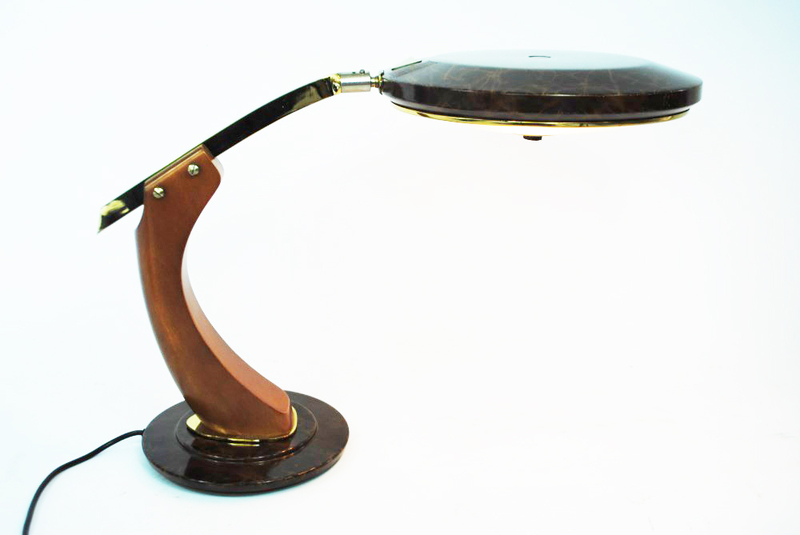 Rare version from Fase's famous desklamp series, called the President. 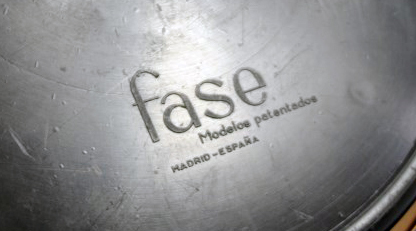 Made in Madrid (Spain) in the 1960s. 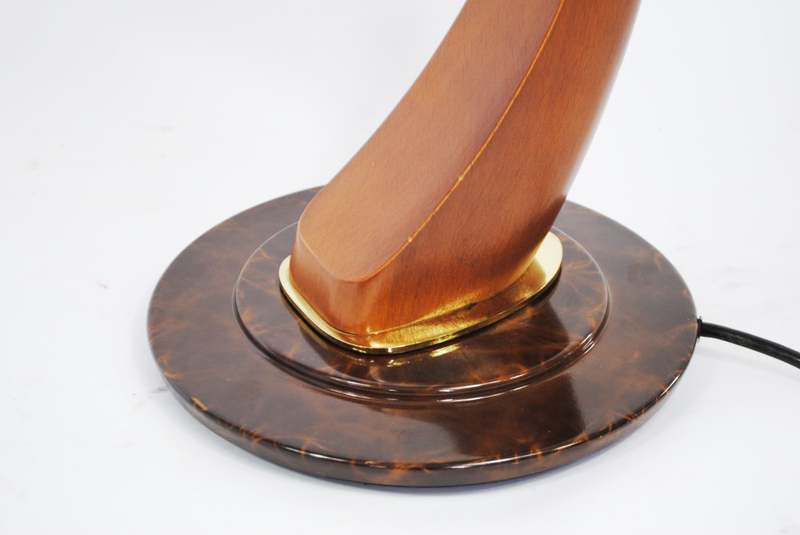 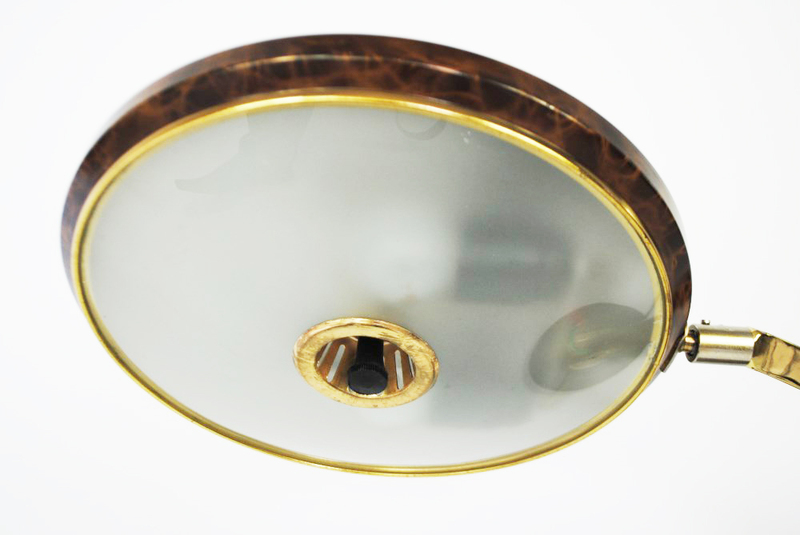 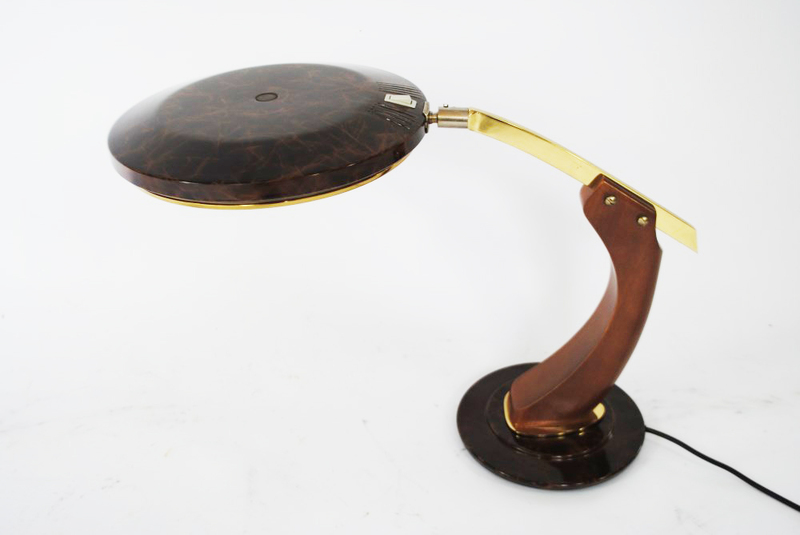 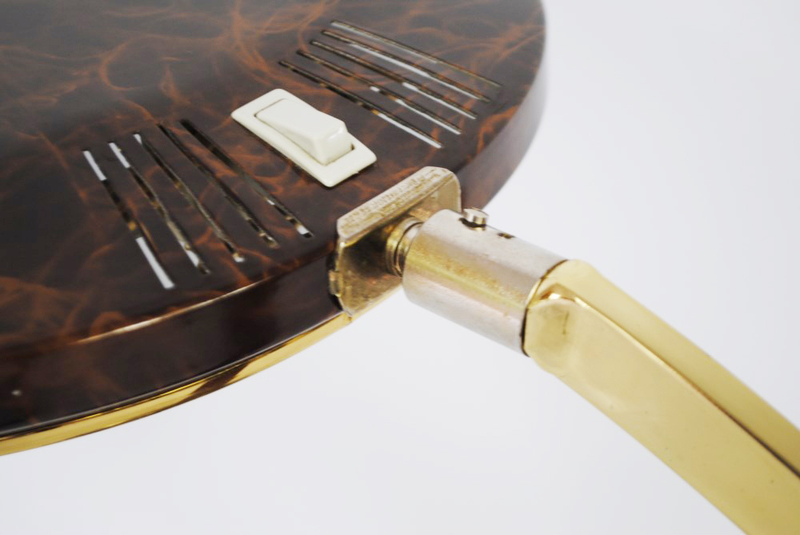 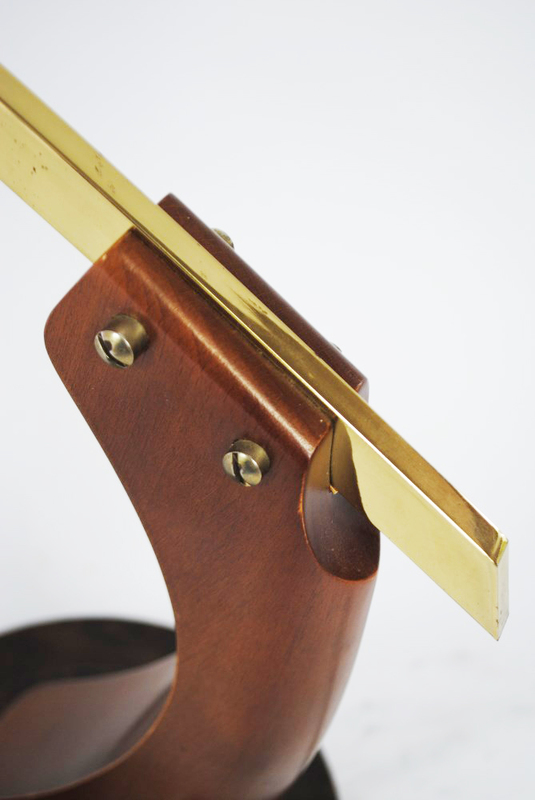 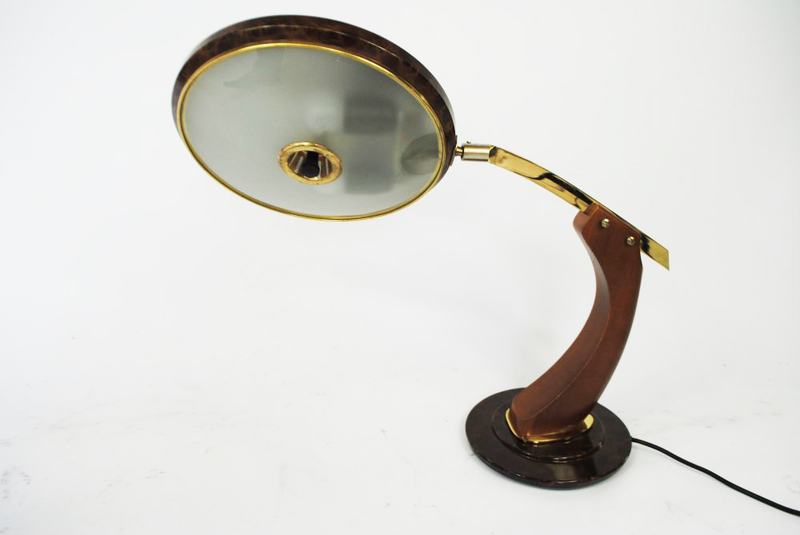 The articulating metal head has a beautiful "turtleshell" finish and the wood/messing arm swivels 360 degrees. 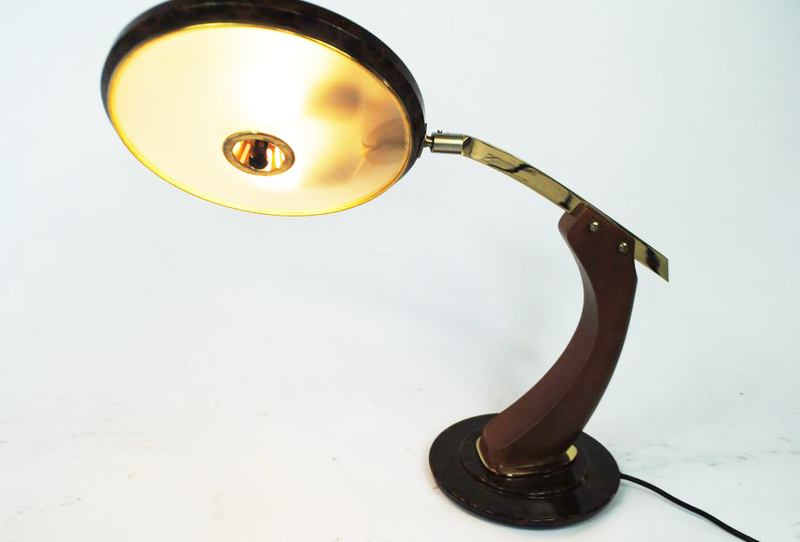 In remarkeble (near perfect) condition.